Plans drawn up by Bournemouth Development Company for the redevelopment of the Cotlands Road and York Road car parks located in the business district of Lansdowne will be considered next week by Bournemouth Borough Council’s Cabinet. As part of Bournemouth Council’s Town Centre Vision, the Lansdowne is a priority location for investment and job creation. The aim is to create a vibrant and enterprising space where businesses and local people can mix and thrive. The proposal will make the most of the Tall Building zone of the Lansdowne to deliver at scale, set around high-quality public and private spaces. The mix of office and residential accommodation will regenerate the area, creating an attractive place to visit and supporting the new retail and commercial businesses. “We are pleased to have submitted the initial stage of the plans for the Cotlands Road and York Road development in Lansdowne, and look forward to the Council Cabinet discussing the scheme. The proposed scheme is aligned with Bournemouth Council’s ongoing strategy to improve the town centre and make it a place where people want to live, work and visit. 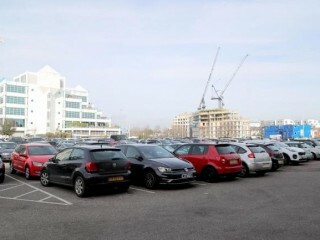 A number of projects have already been brought forward by Bournemouth Development Company and approved by the Bournemouth Council Cabinet, including the Winter Garden scheme, which received planning permission in November 2018, and several schemes which have been completed, such as Berry Court.